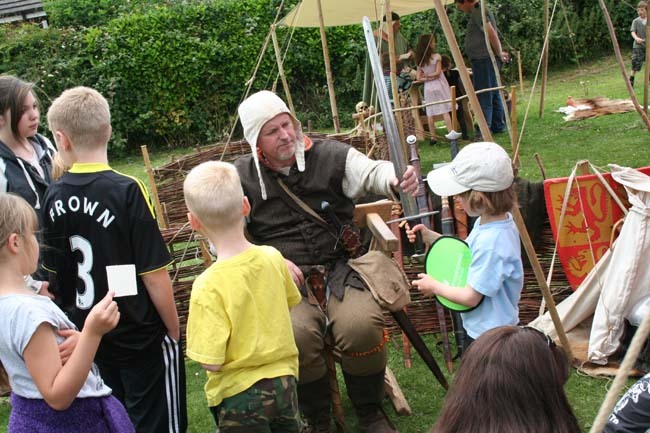 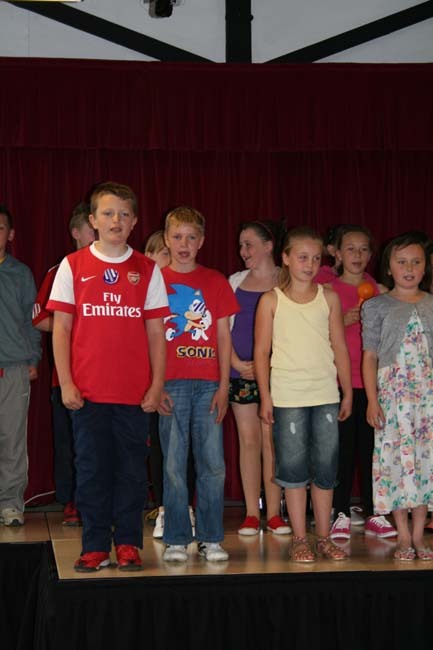 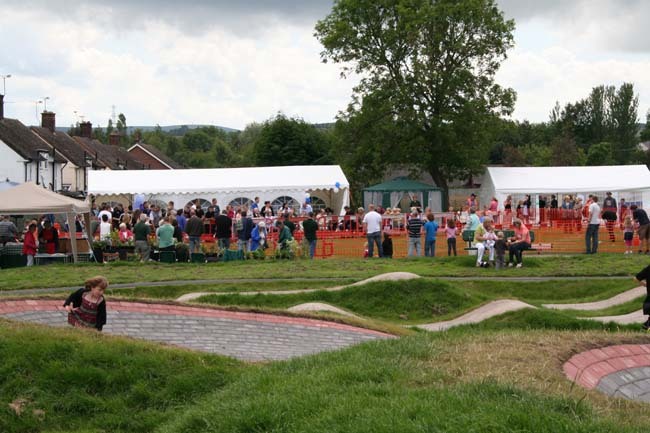 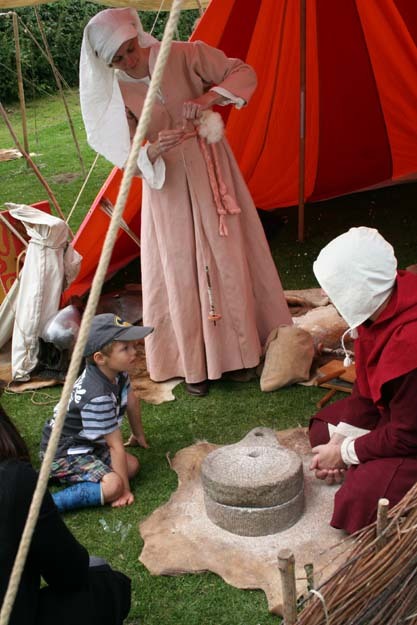 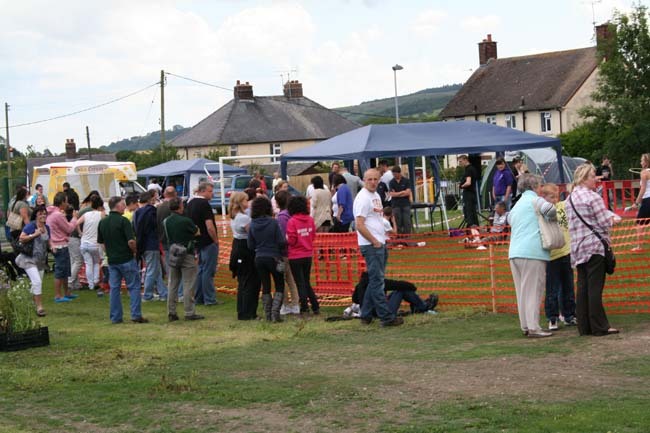 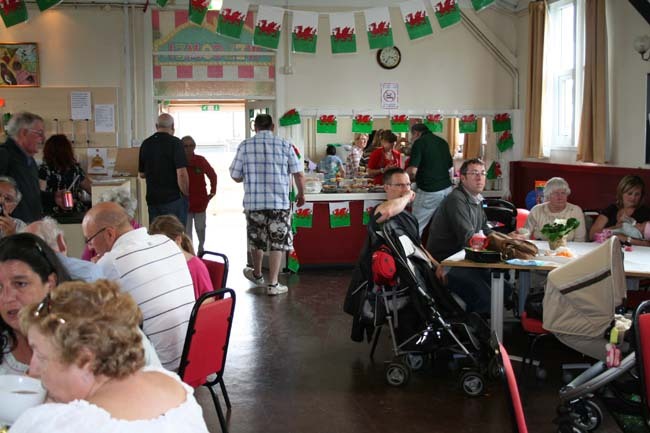 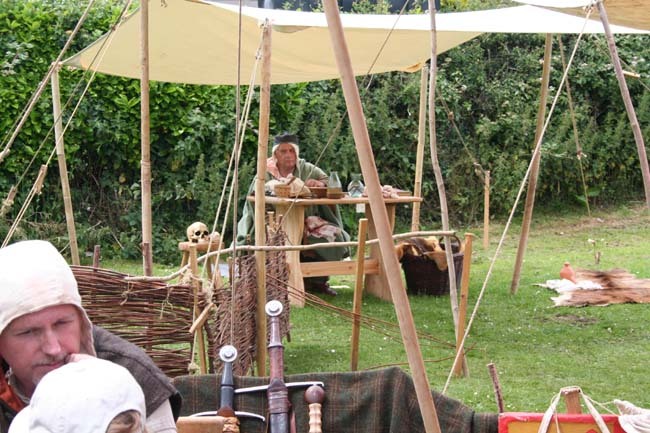 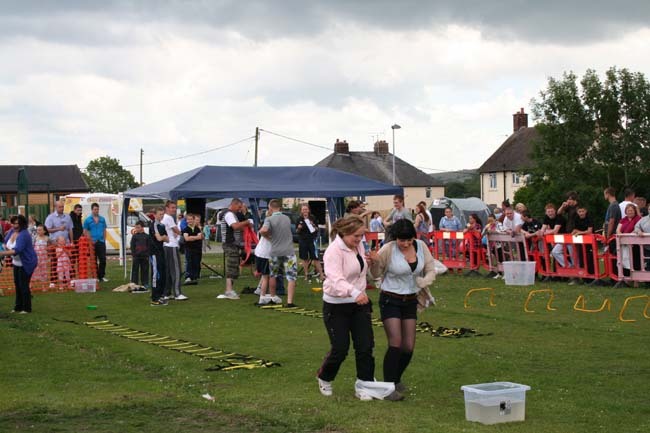 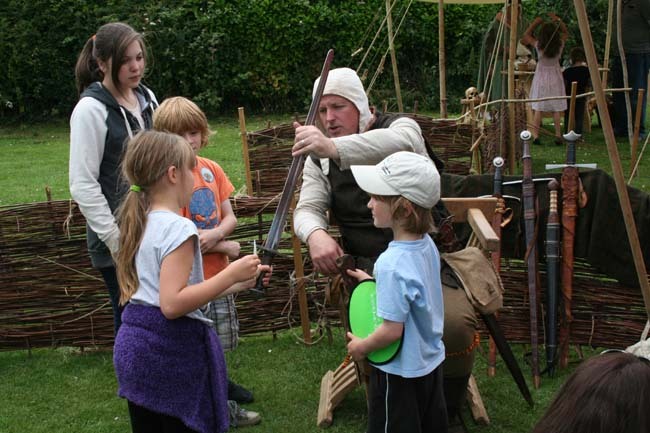 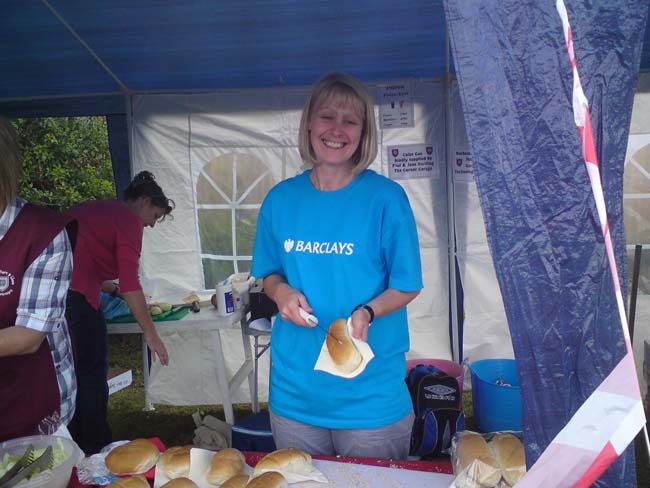 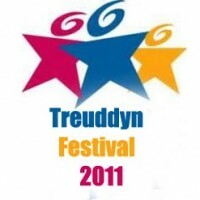 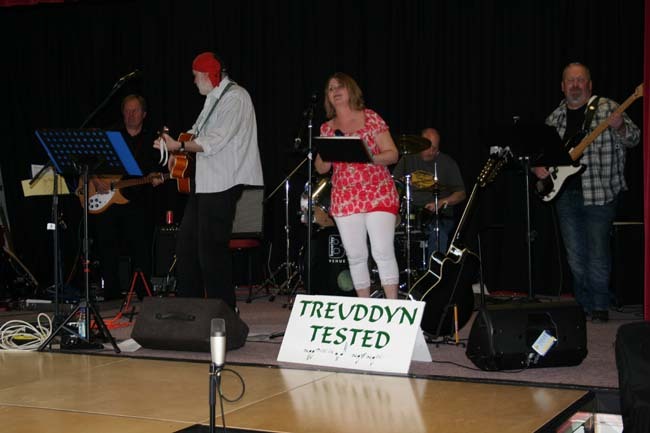 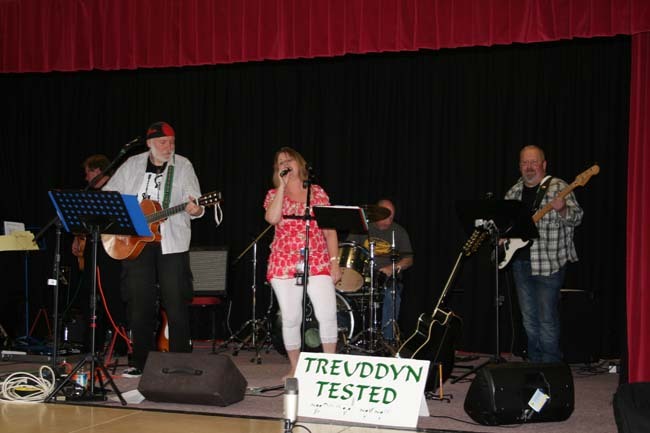 The Treuddyn Festival 2011 was held on July 9th. 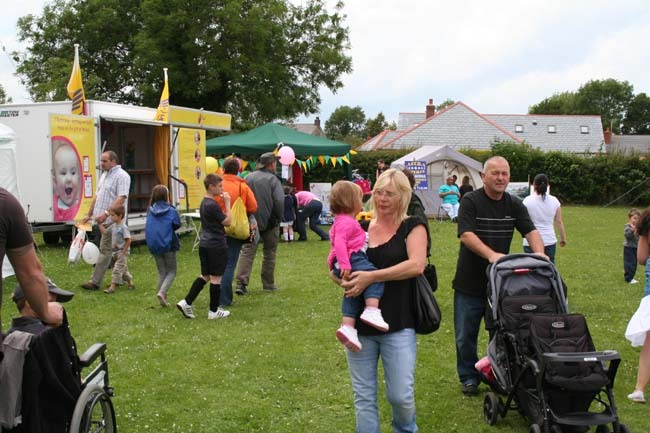 Our yearly festival is a chance to celebrate community, friendship and diversity. 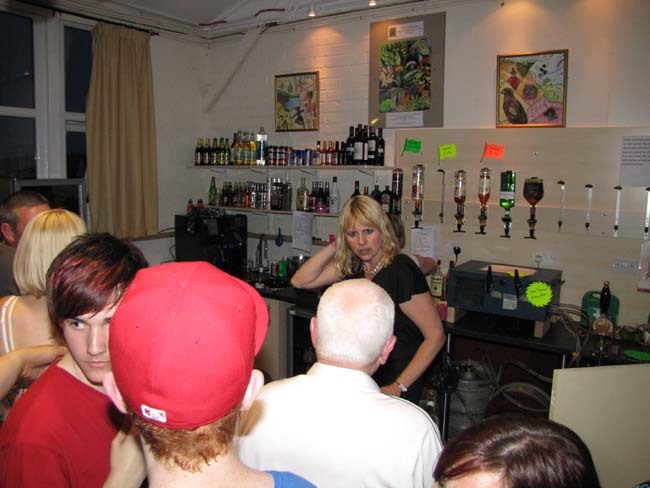 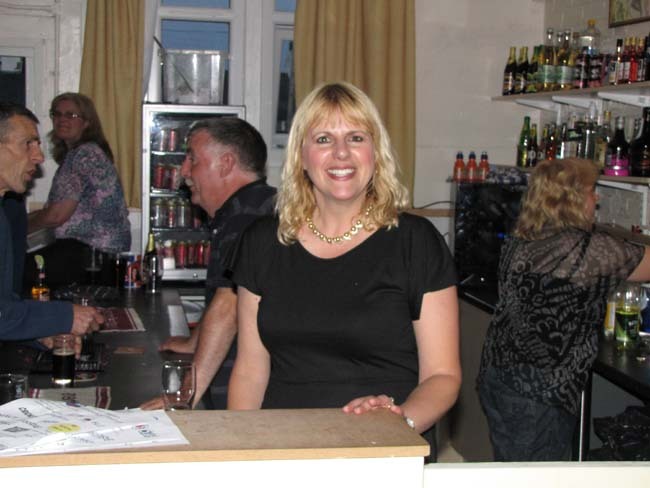 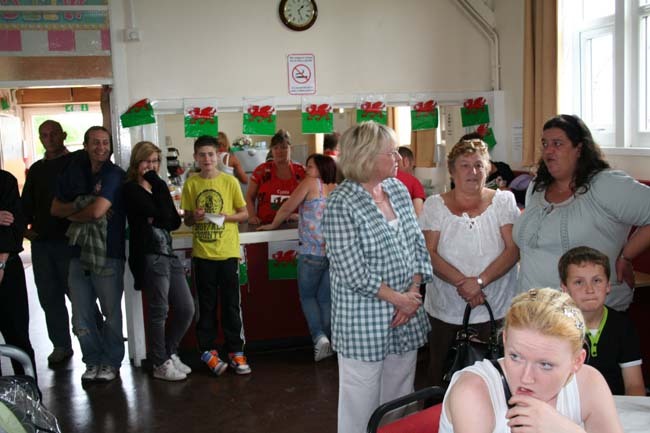 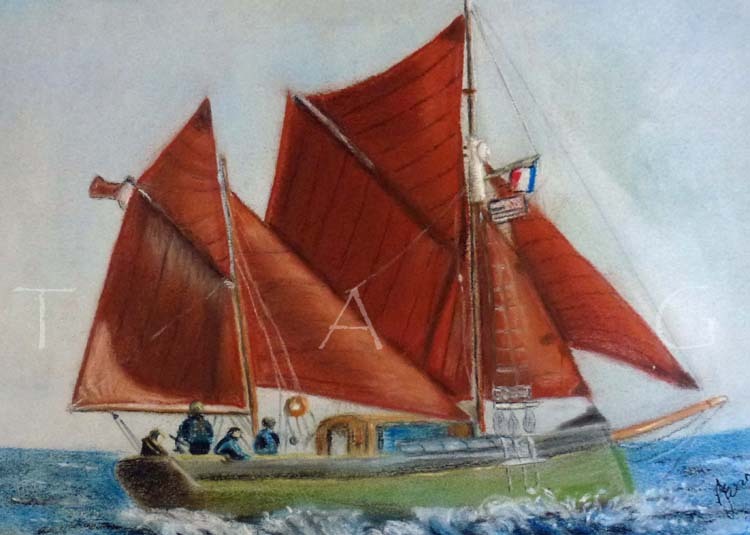 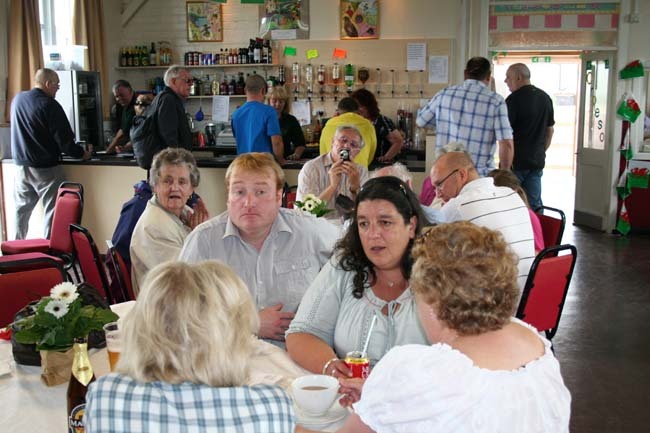 It was a chance for people to see the extensive work that has gone on at the village hall with the meeting room/storage extension and the complete refurbishment and re-equiping of the inside! 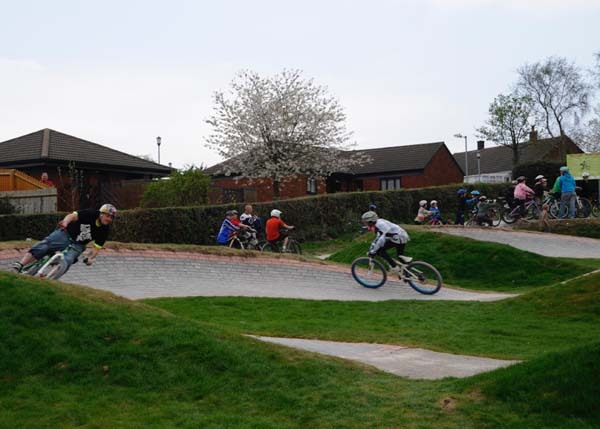 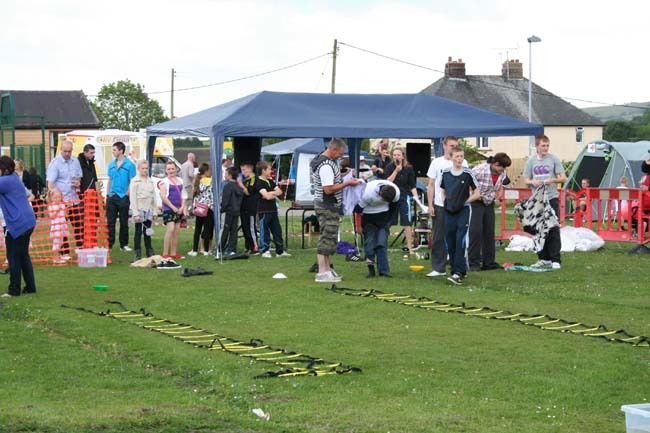 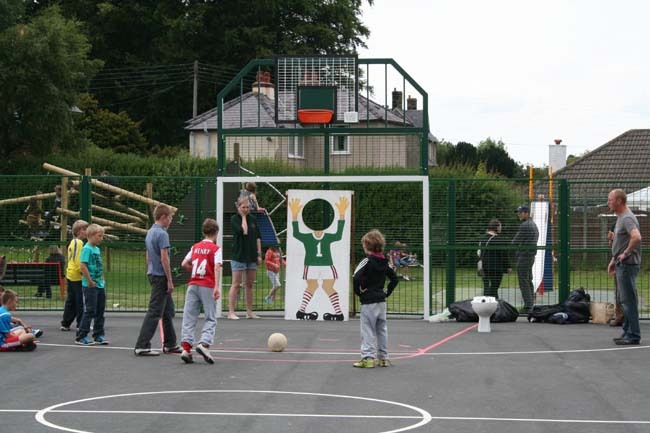 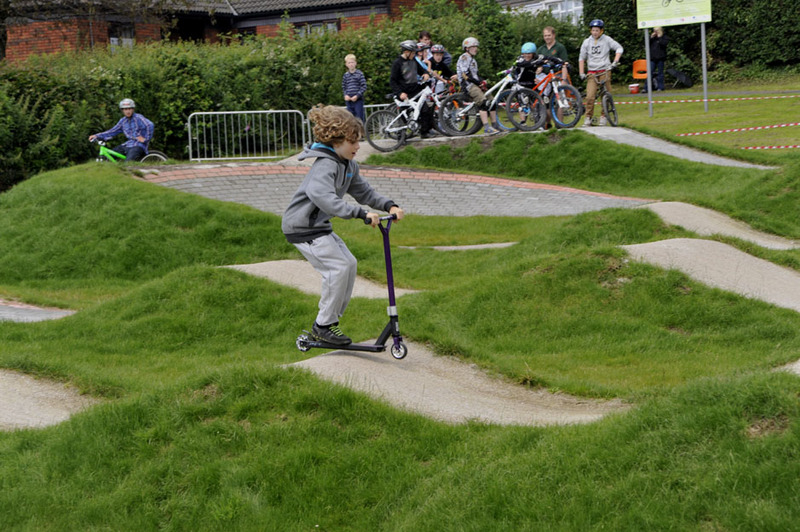 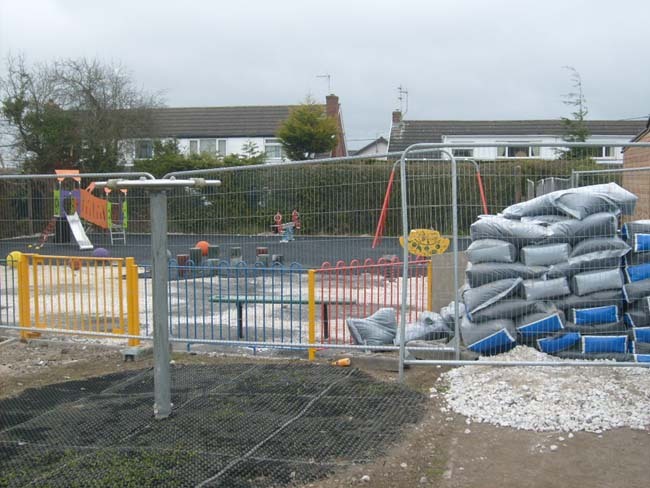 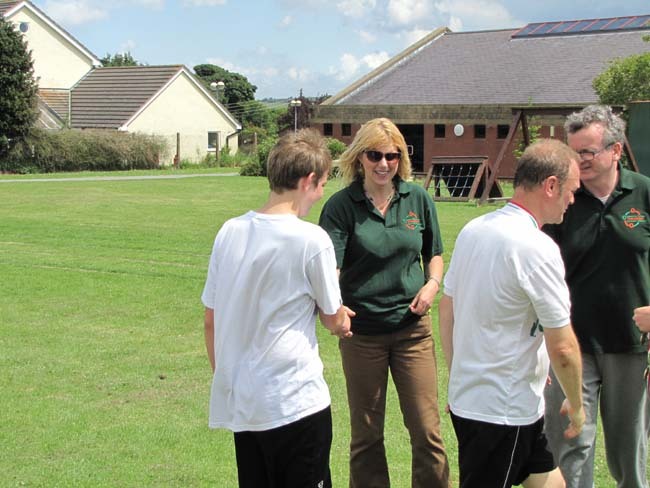 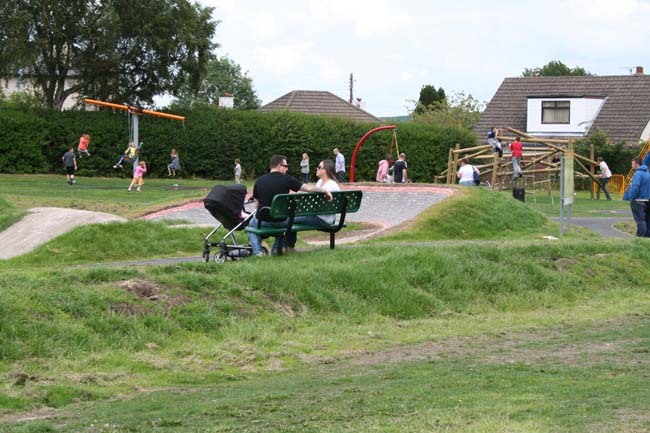 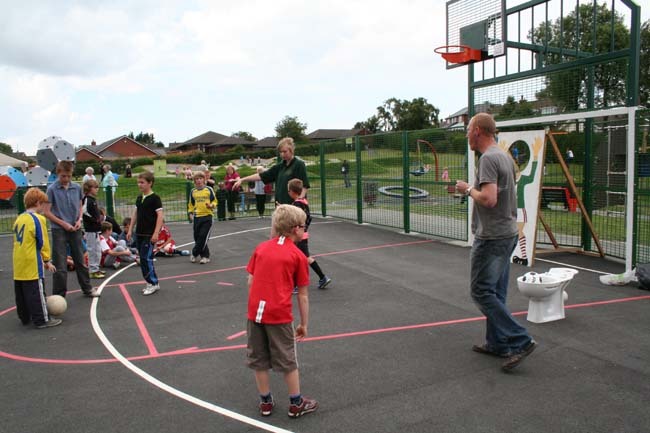 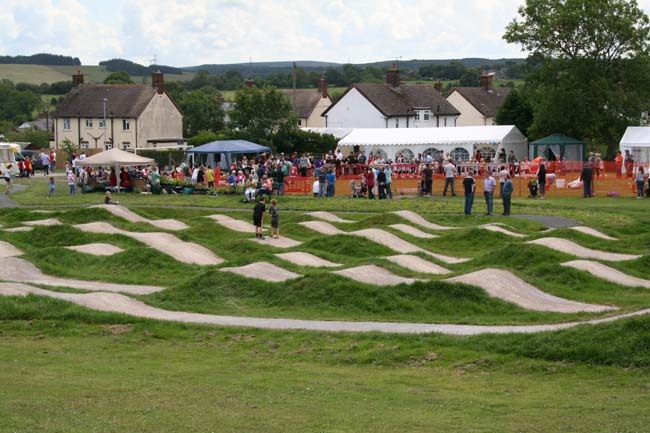 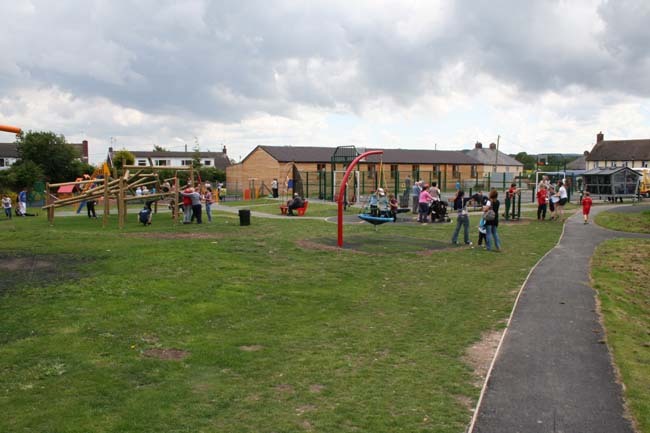 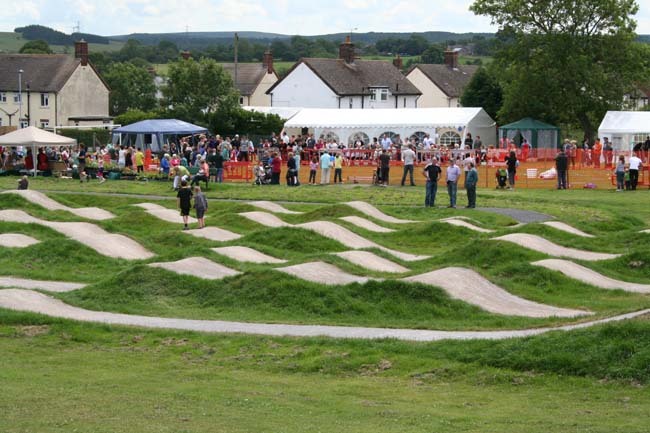 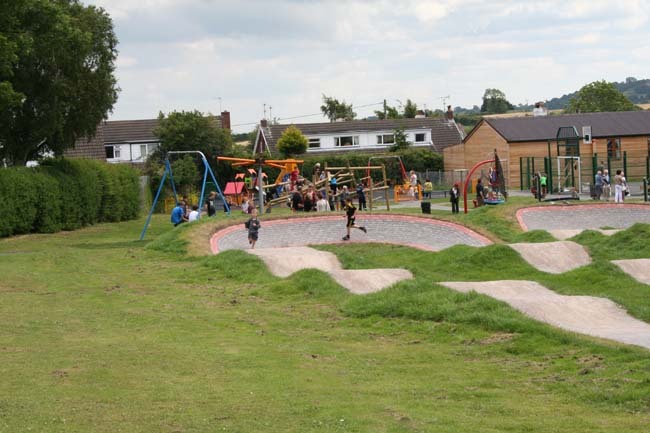 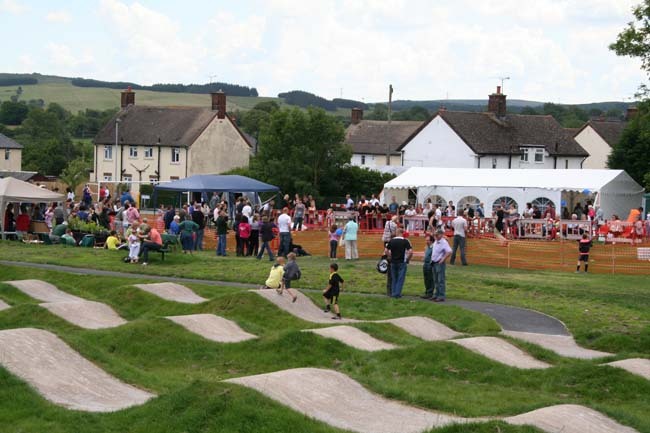 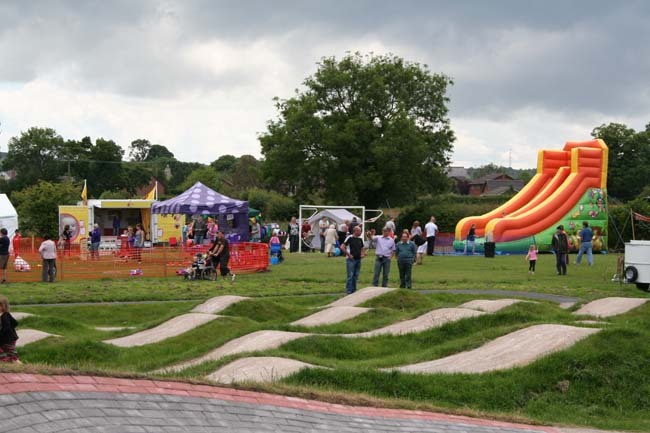 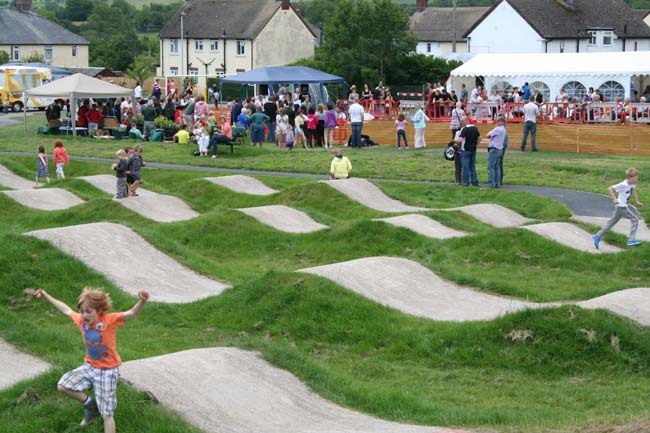 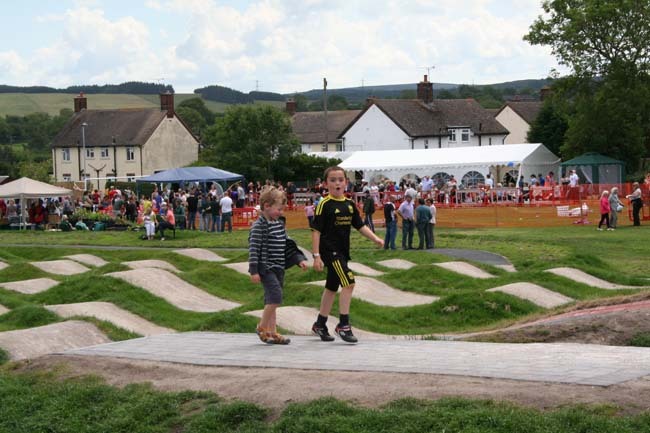 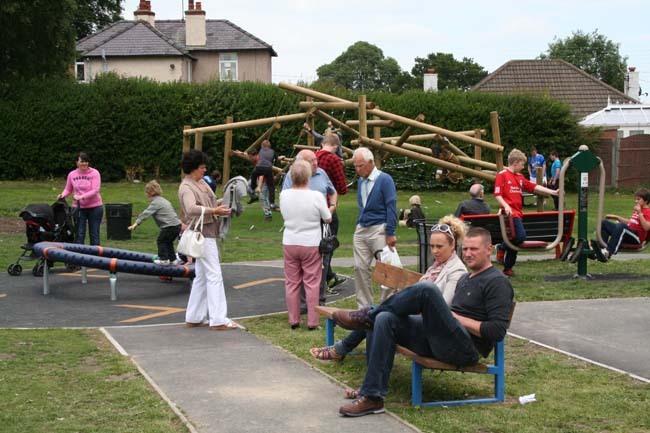 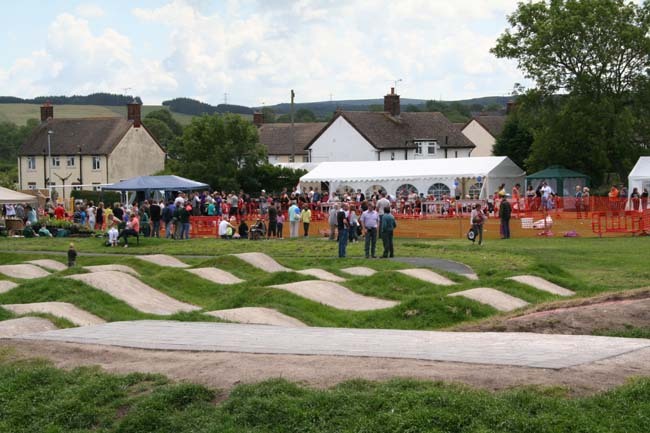 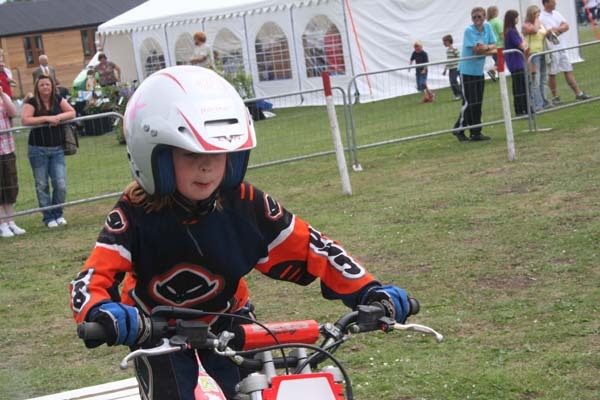 For many people it was also their first sight of the bike track and new play equipment on the field. 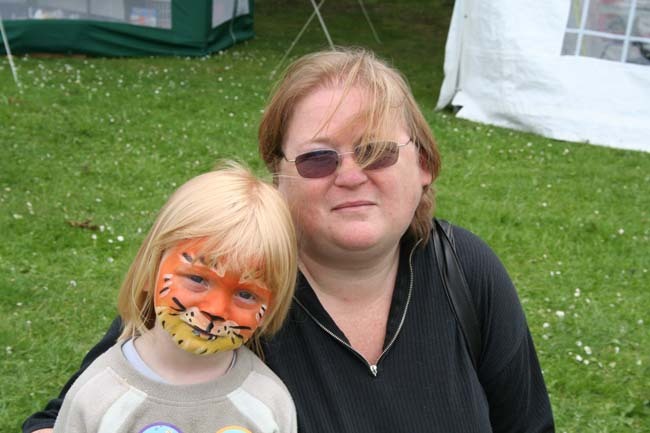 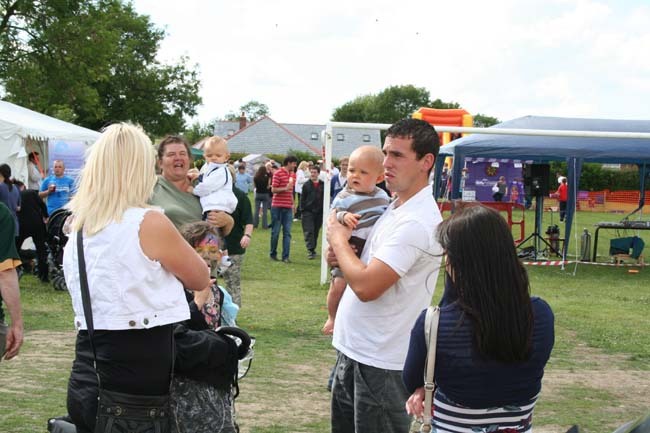 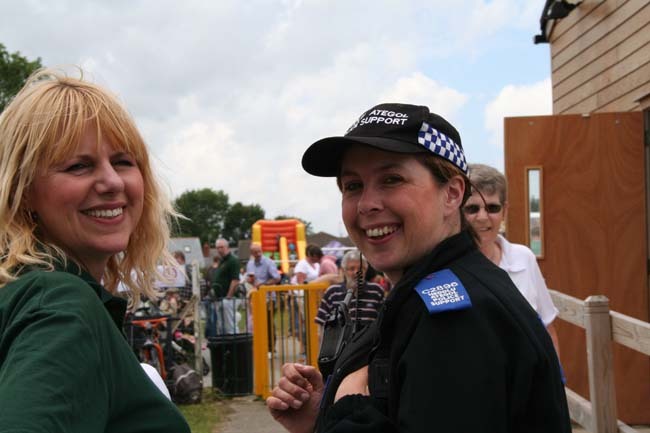 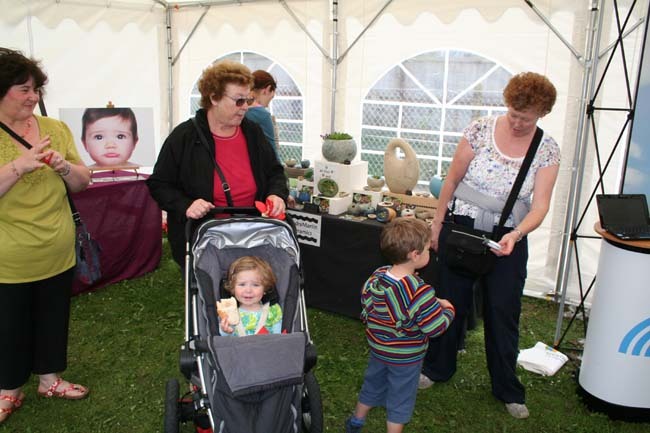 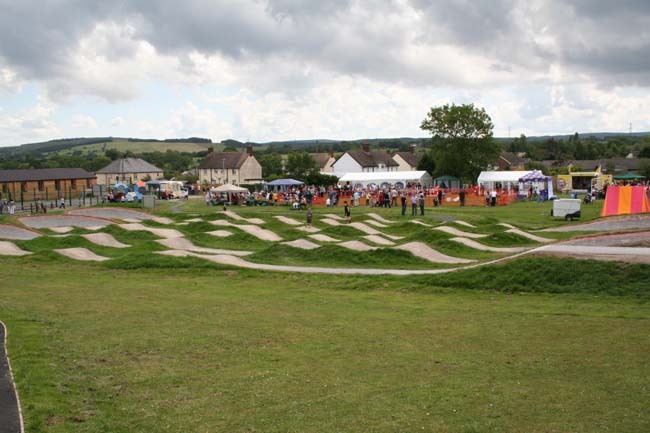 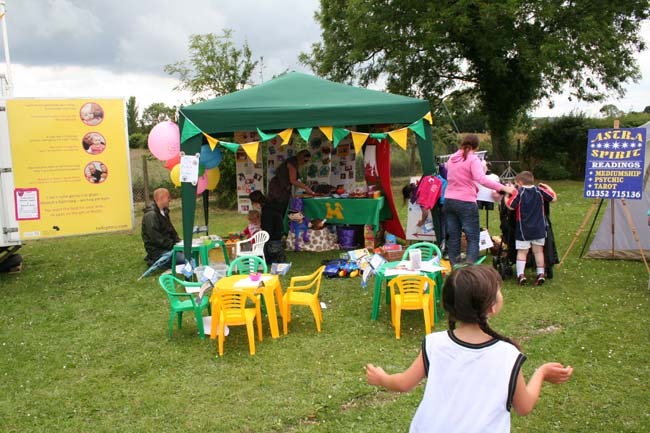 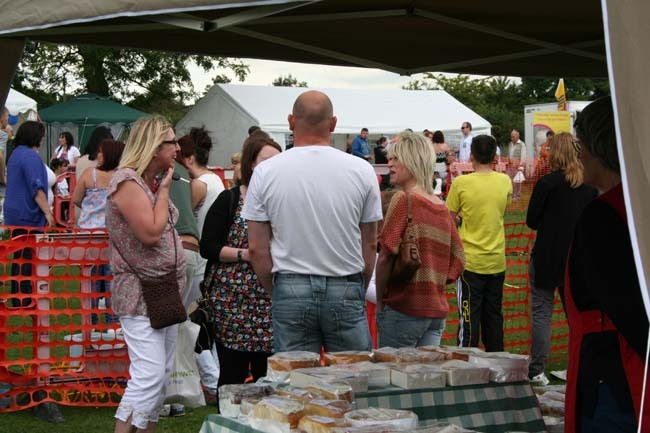 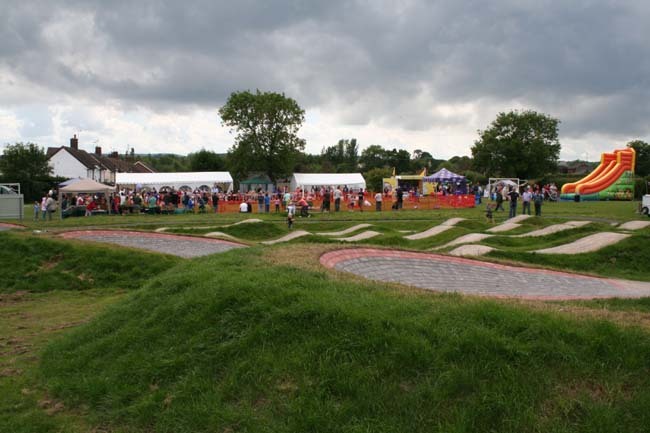 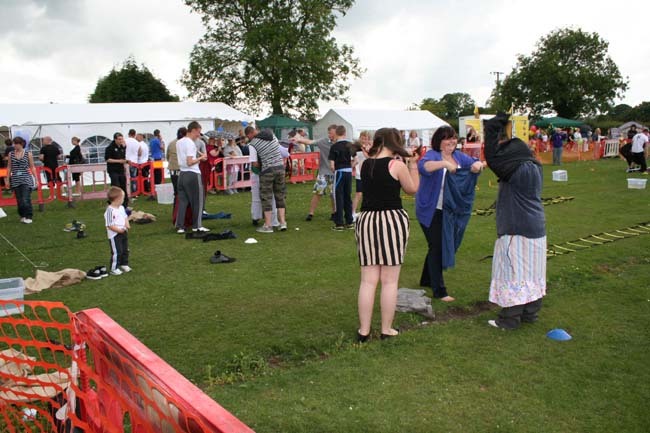 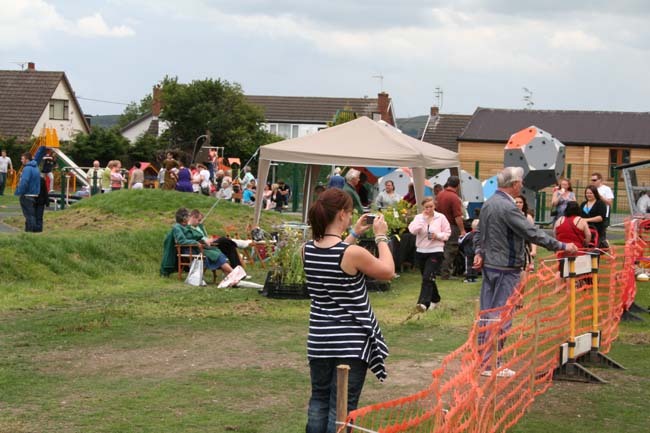 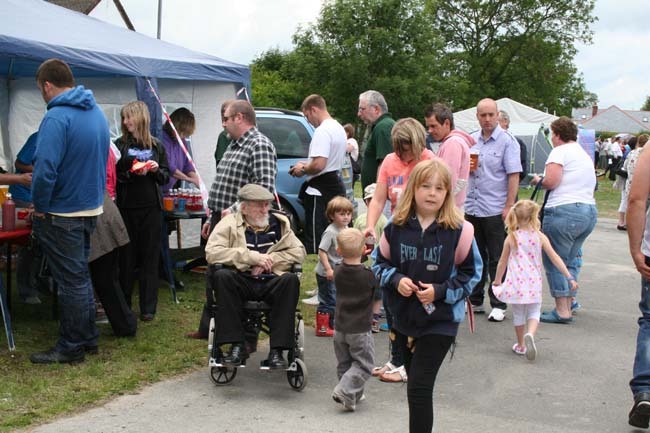 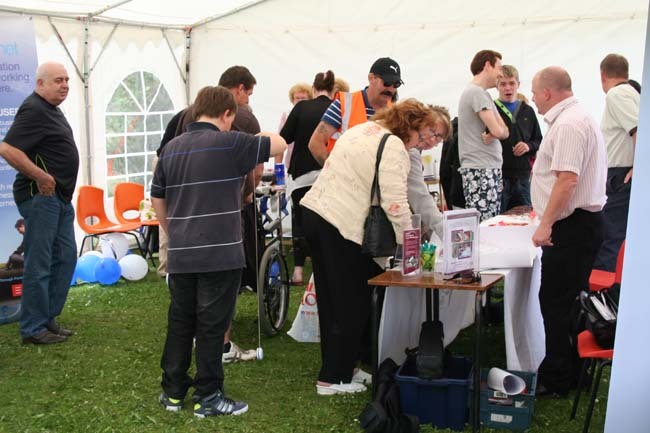 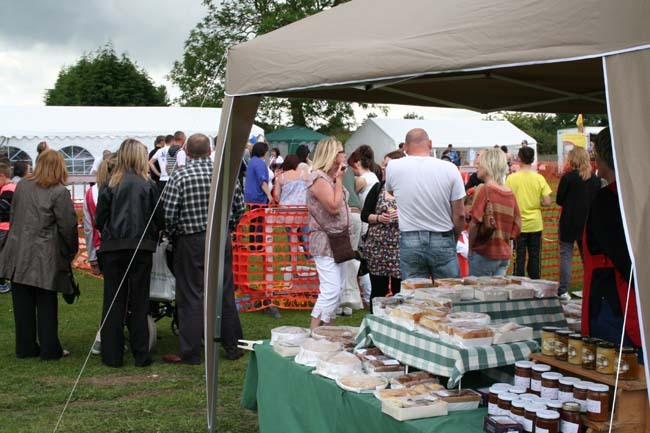 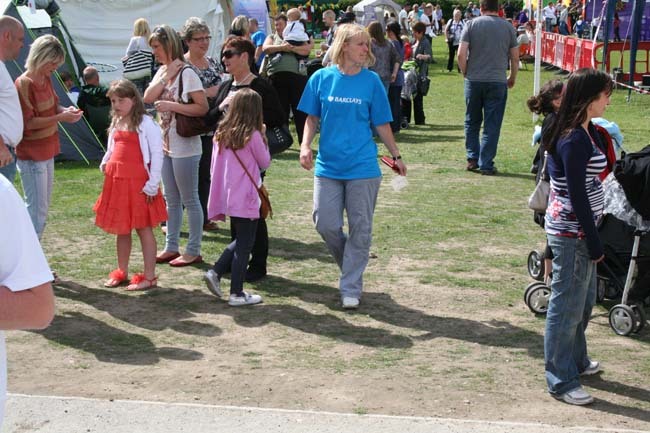 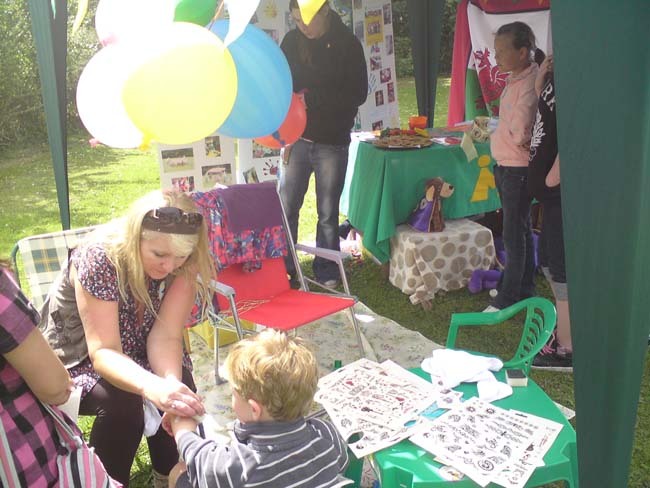 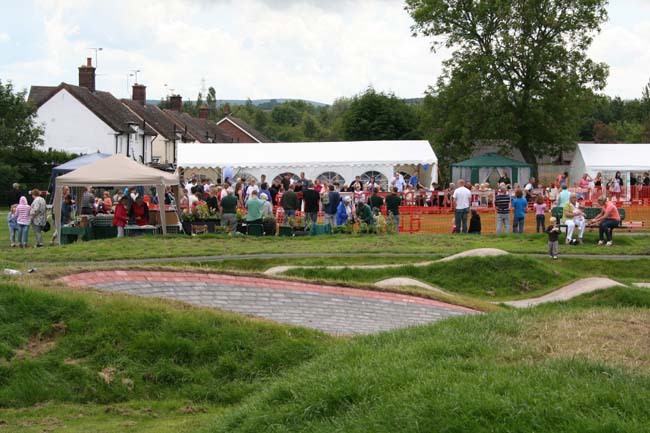 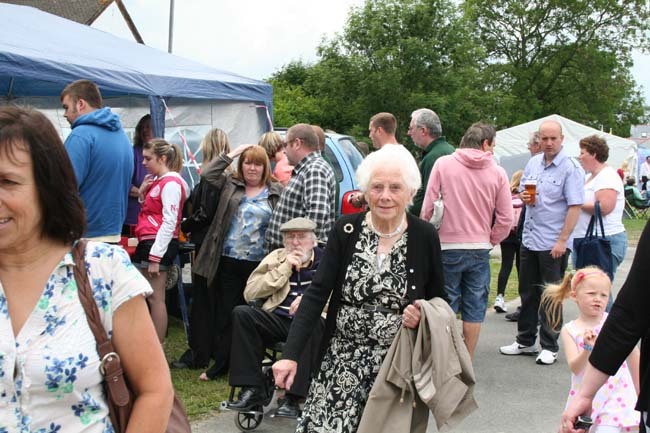 The festival was on a smaller scale this year as space was tighter – but in future years it will be able to spread out again as the village are gaining land from the new housing development which can be used for stalls and features. 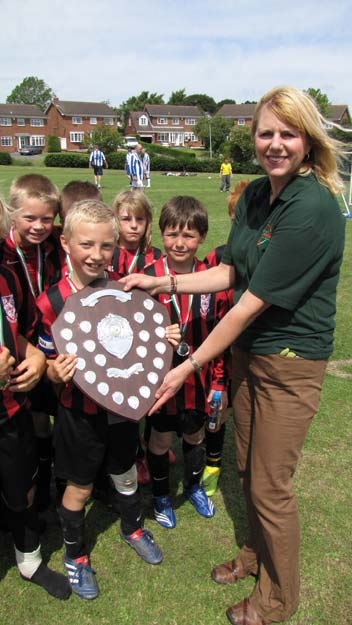 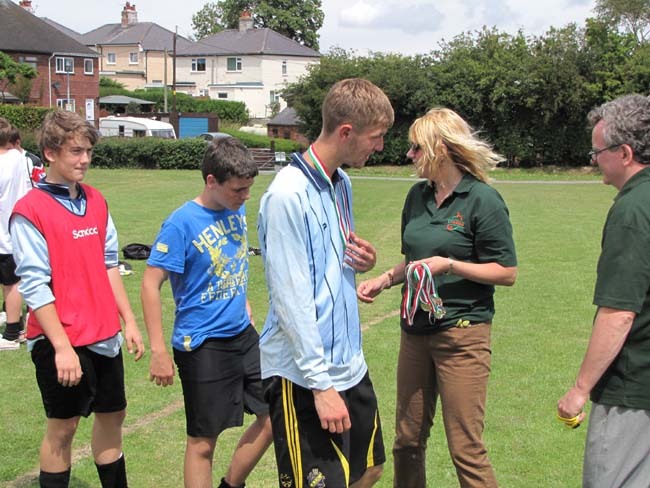 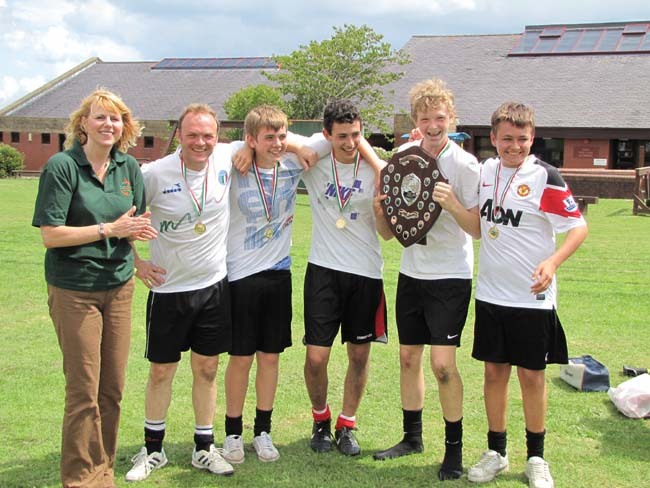 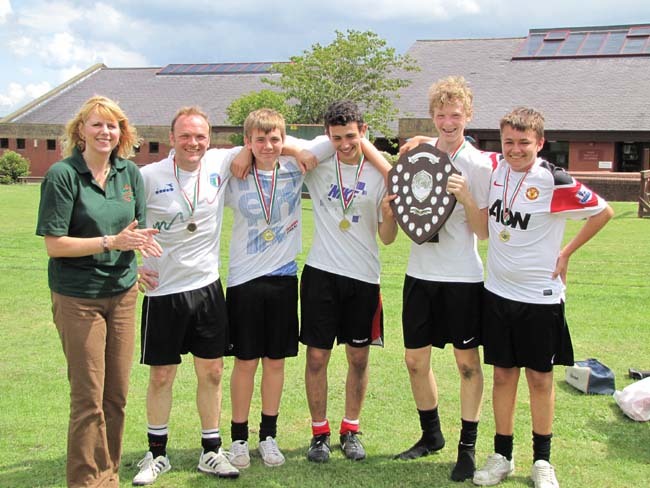 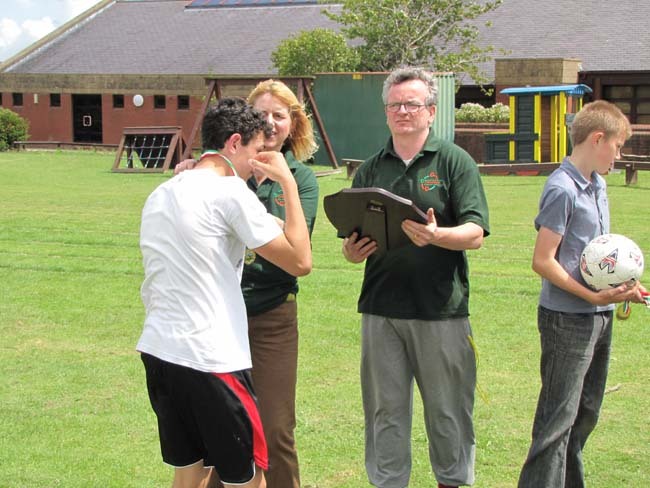 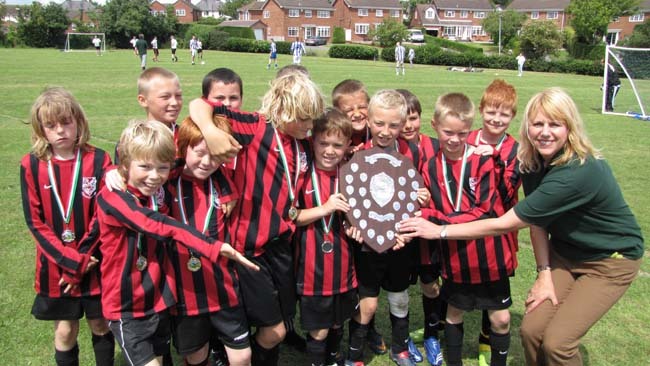 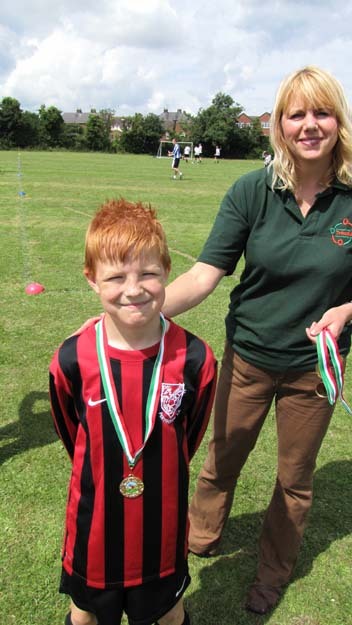 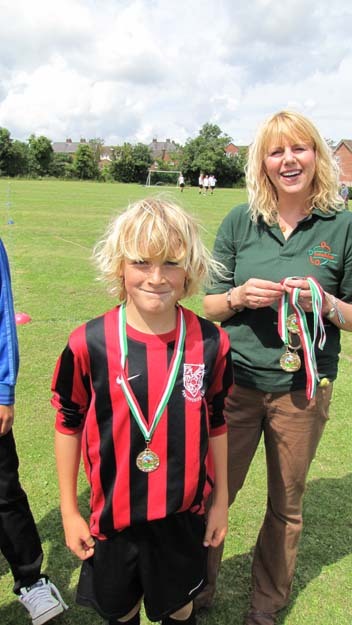 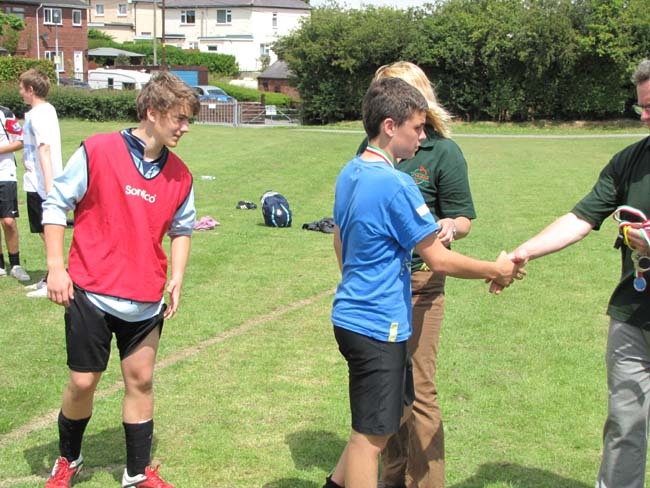 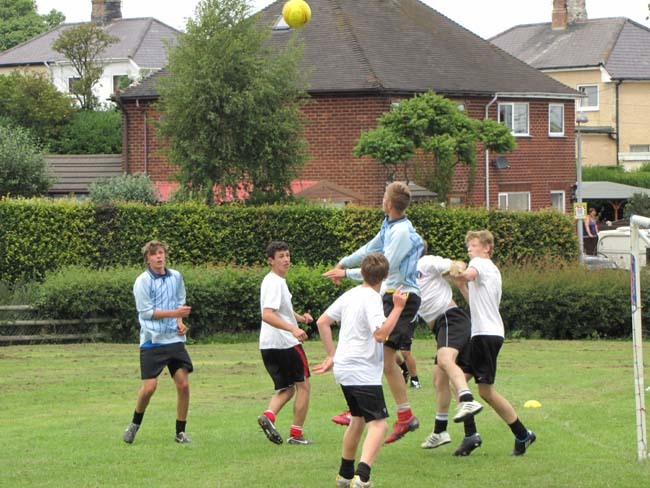 The football tournament on the school’s field proved popular again with fiercely contested matches at all ages. 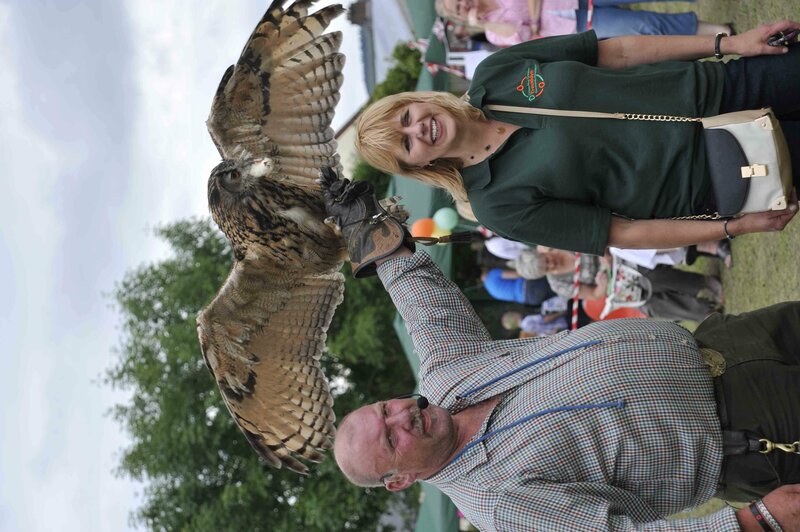 This year continued what is now almost a tradition of a fantastic day out. 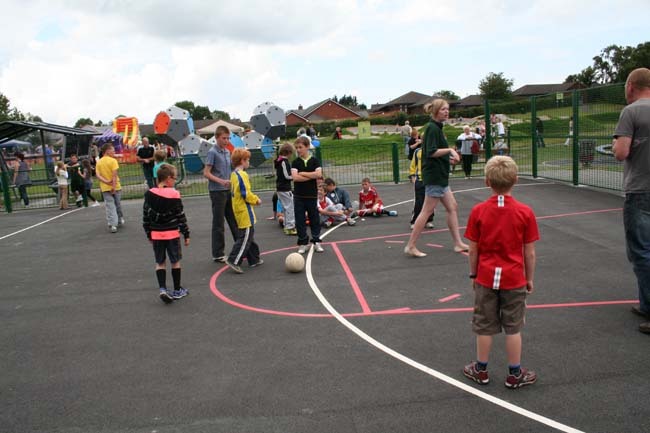 Even the weather was kind to us again. 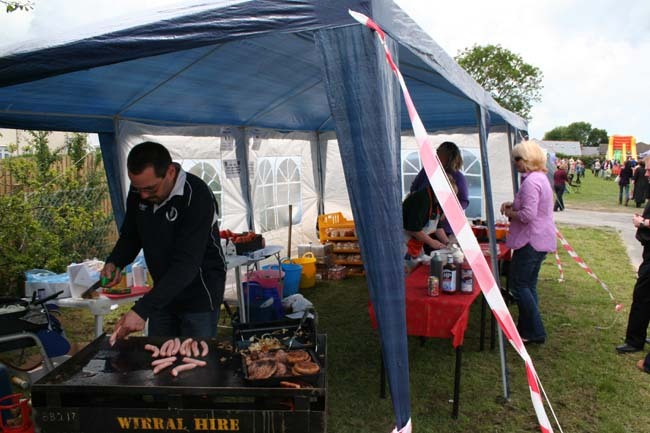 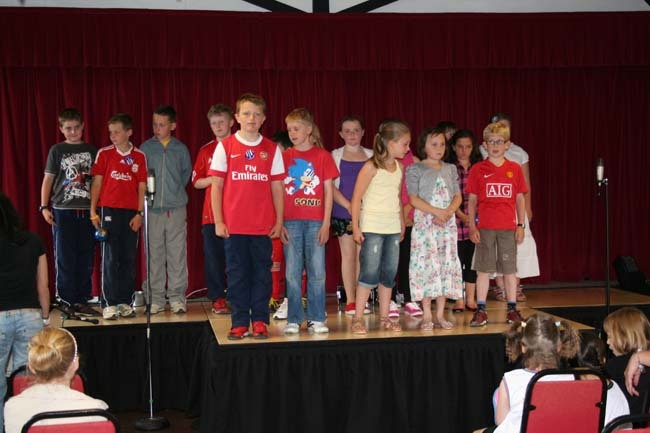 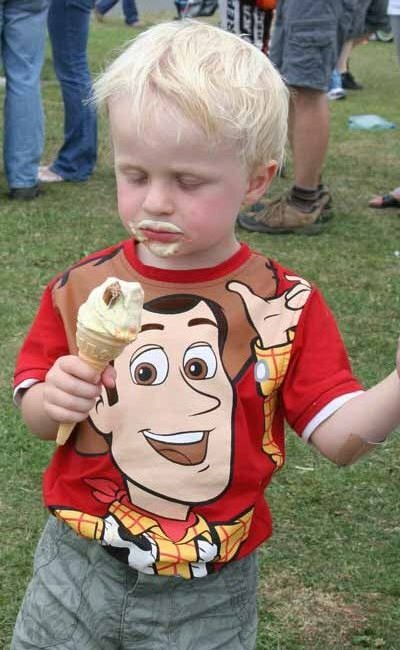 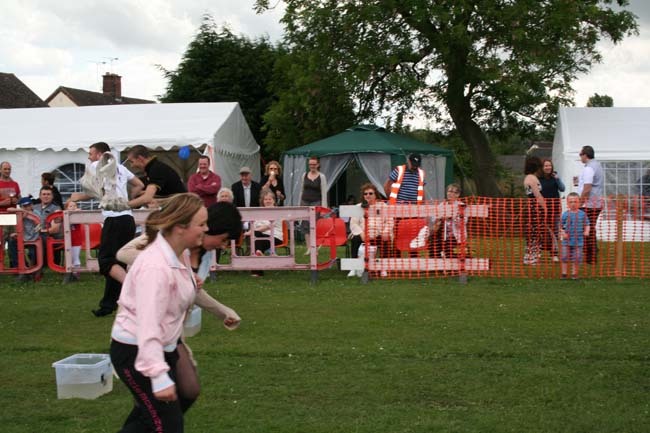 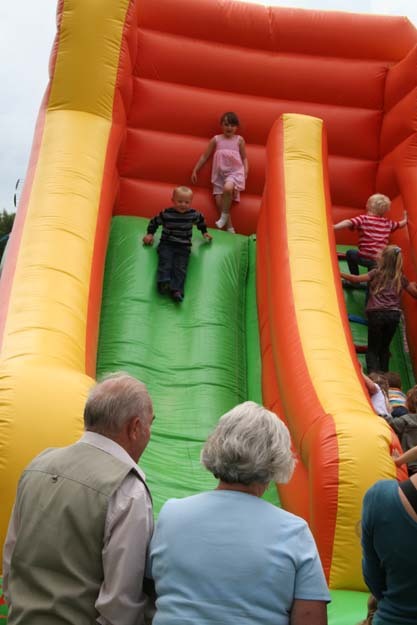 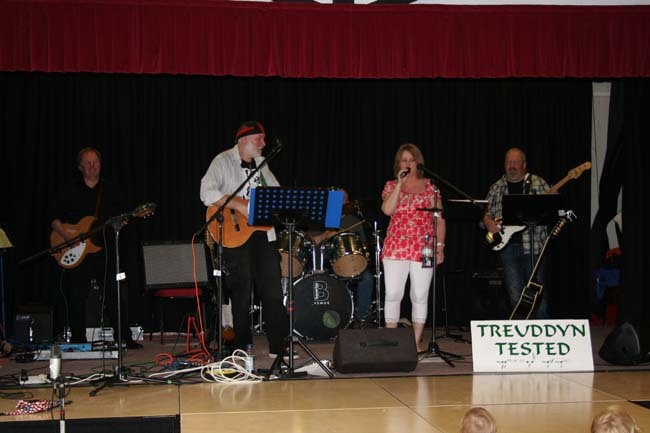 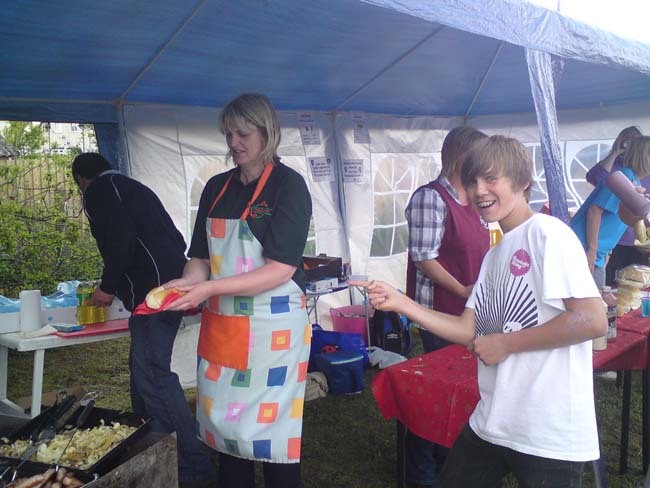 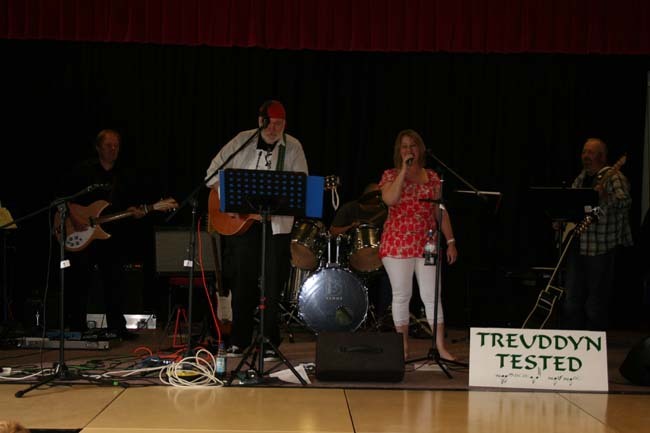 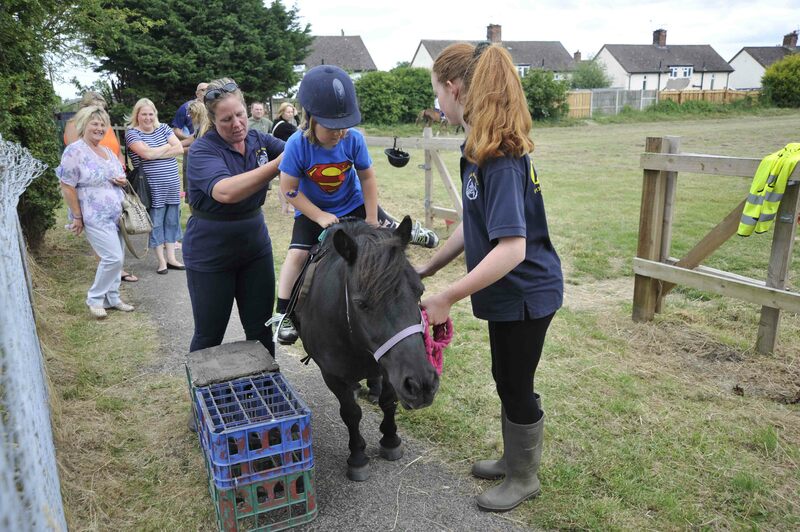 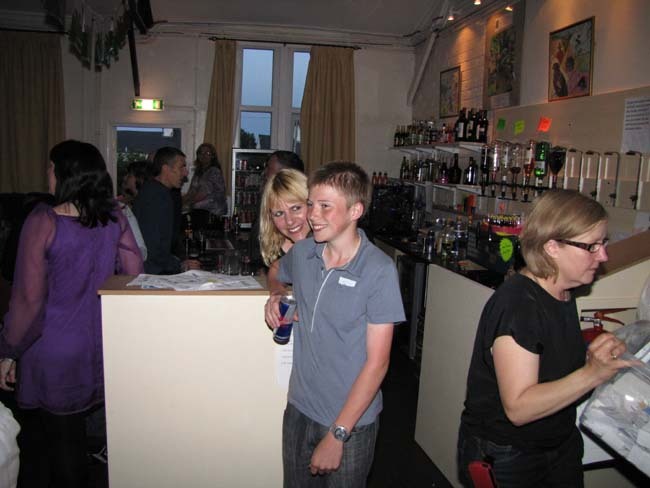 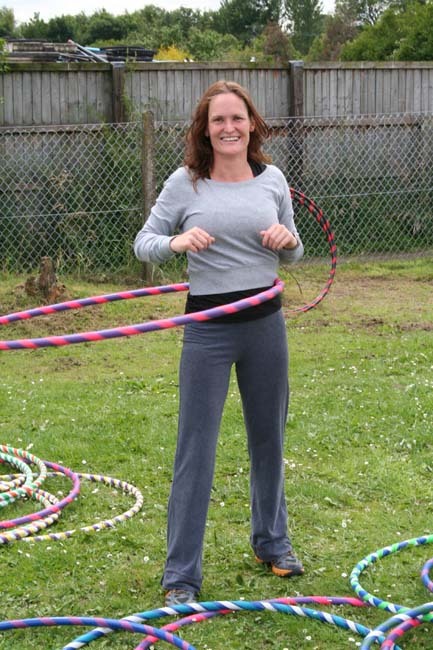 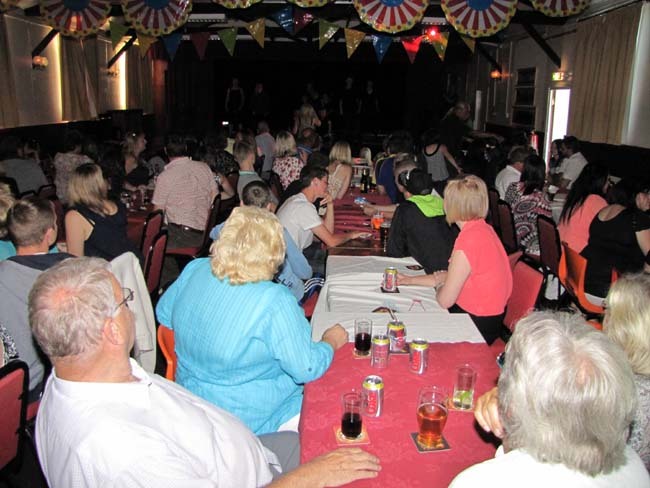 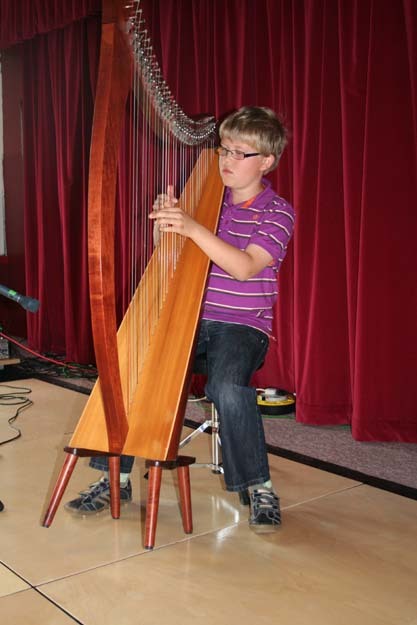 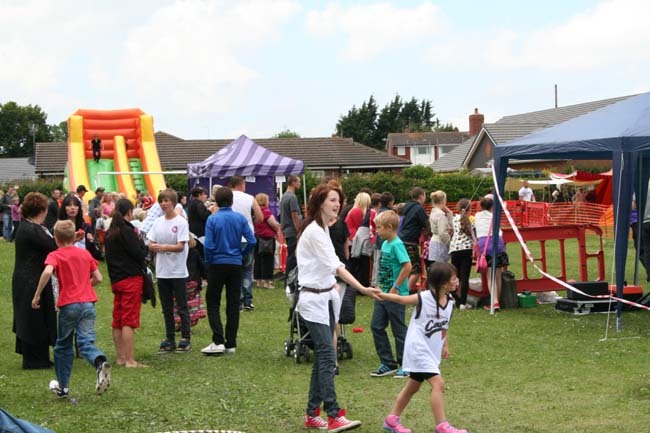 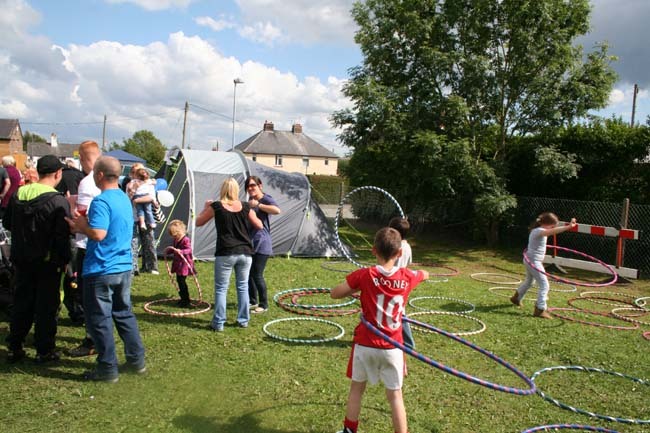 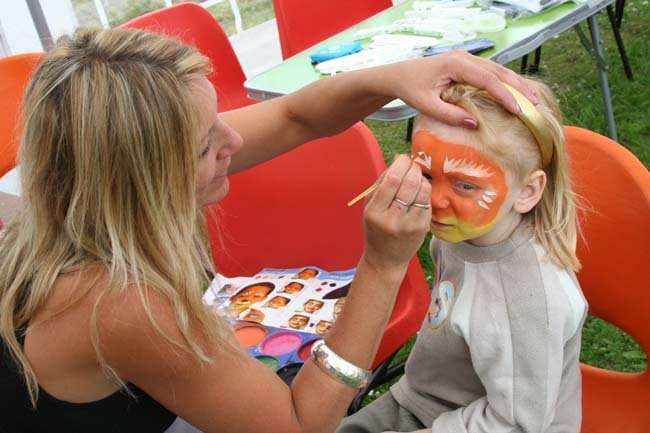 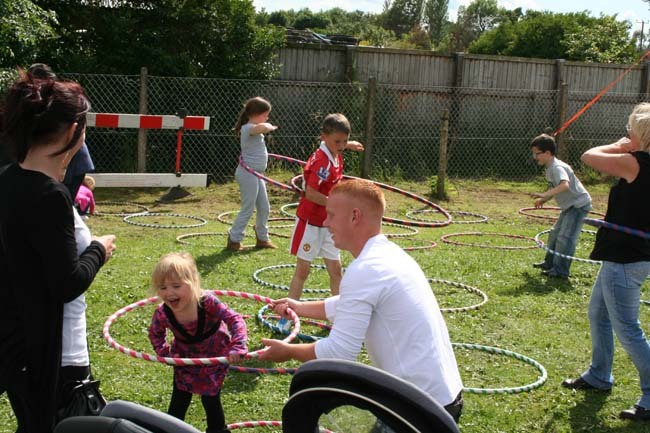 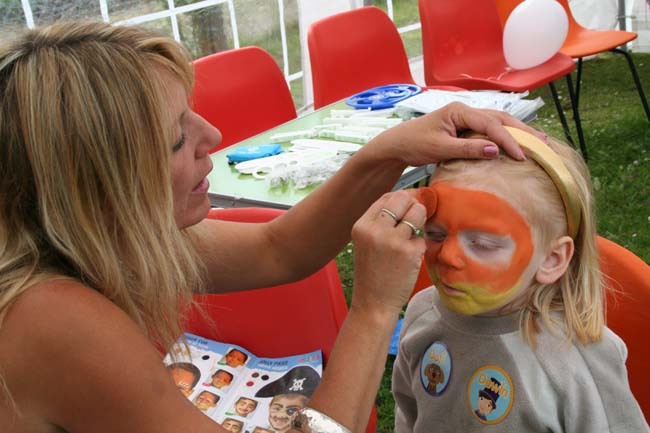 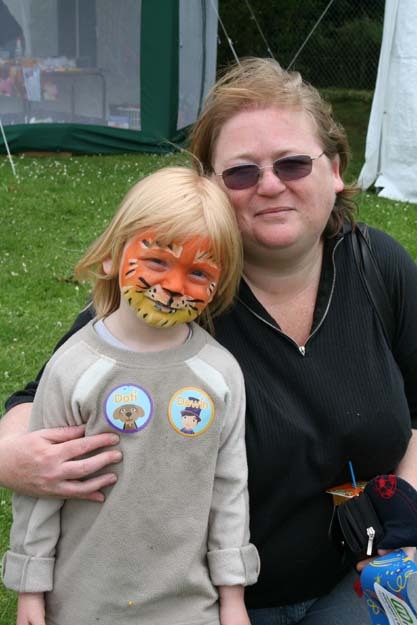 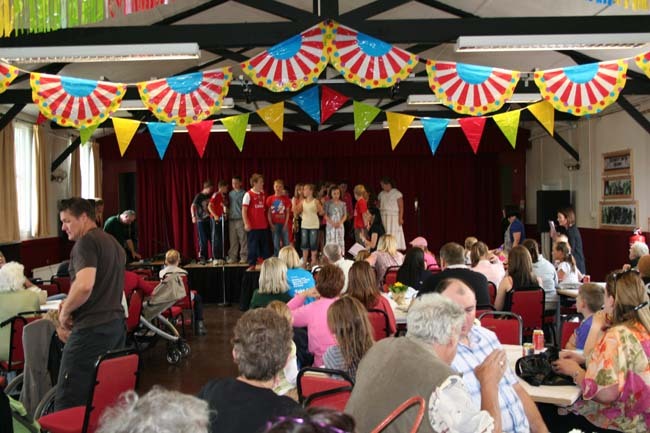 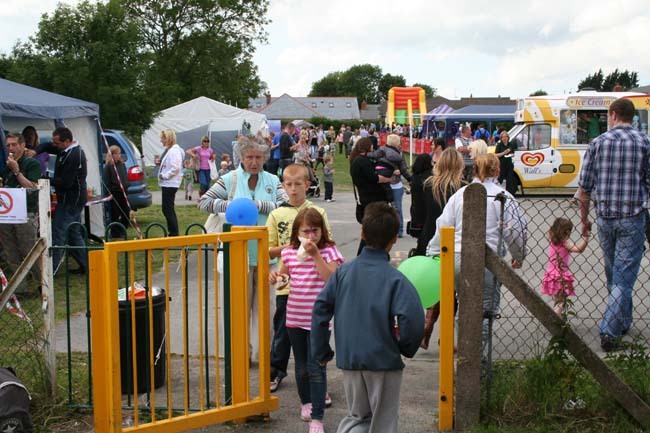 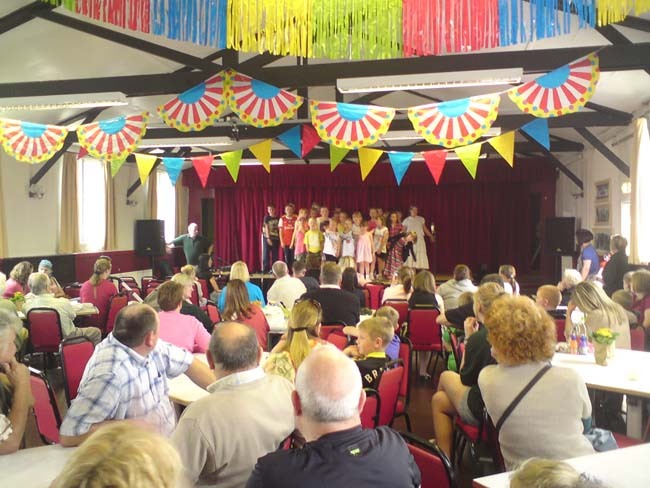 As well as providing a good day out for all, the festival helps to raise funds for the schools and enables us to keep the village hall going while charging low rates for hire and for entry to classes and courses. 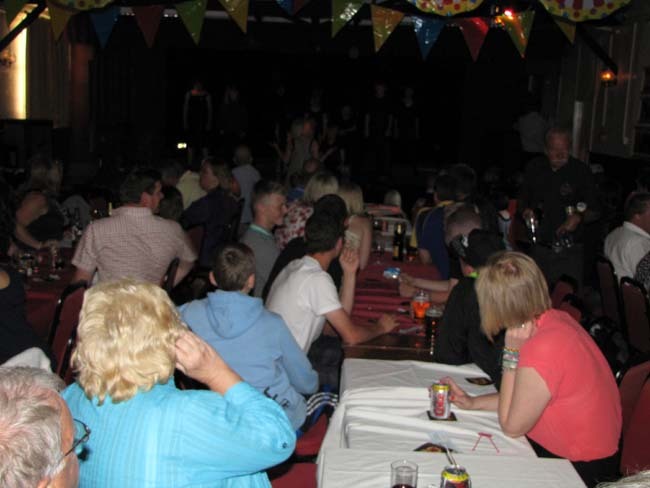 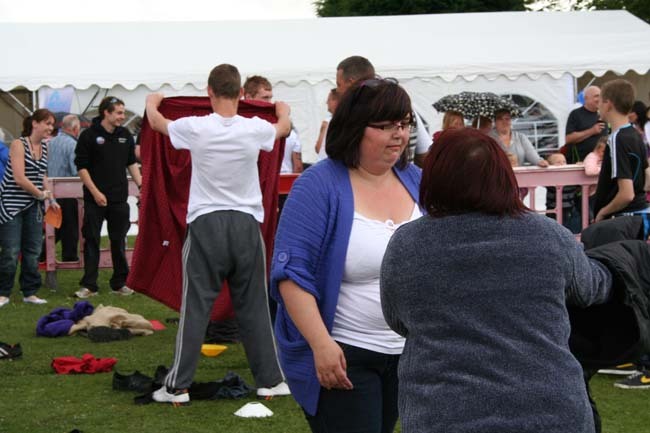 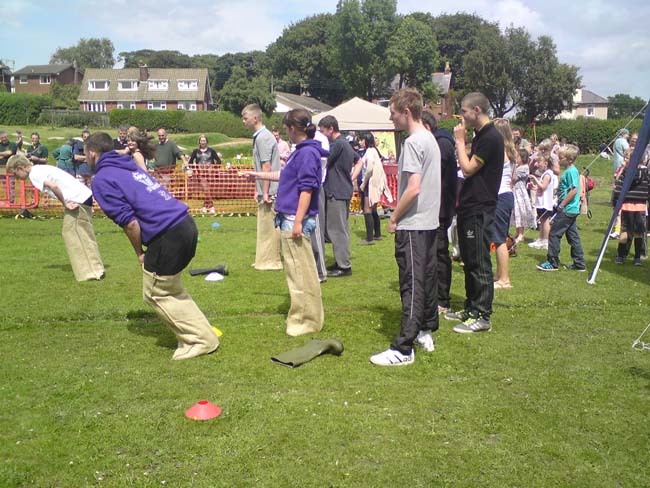 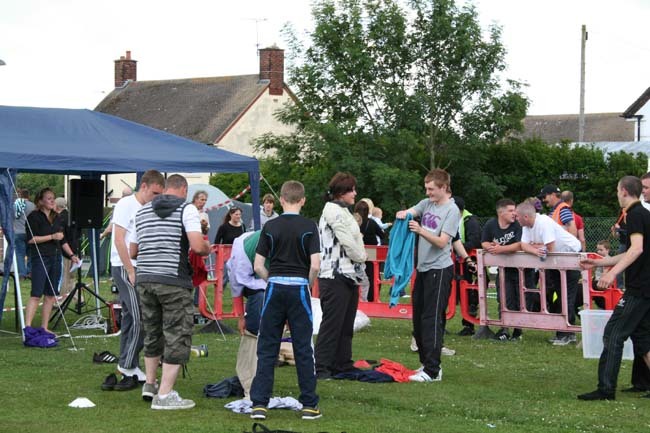 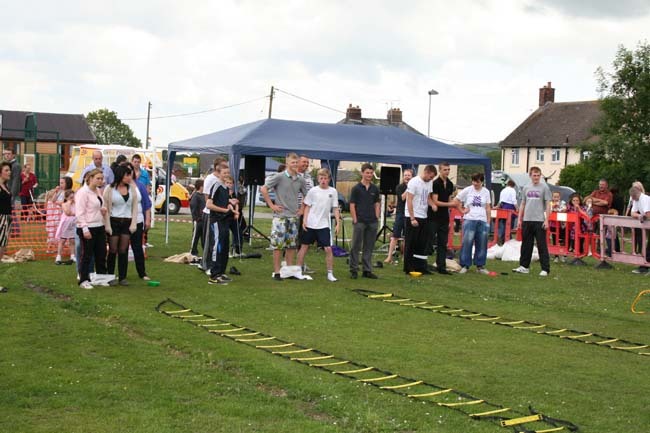 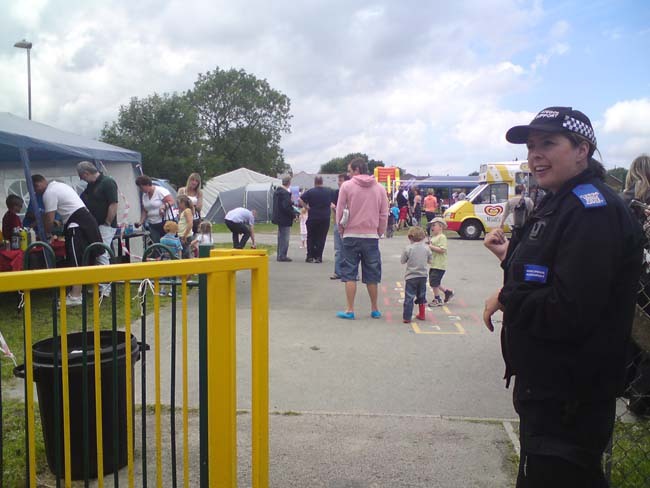 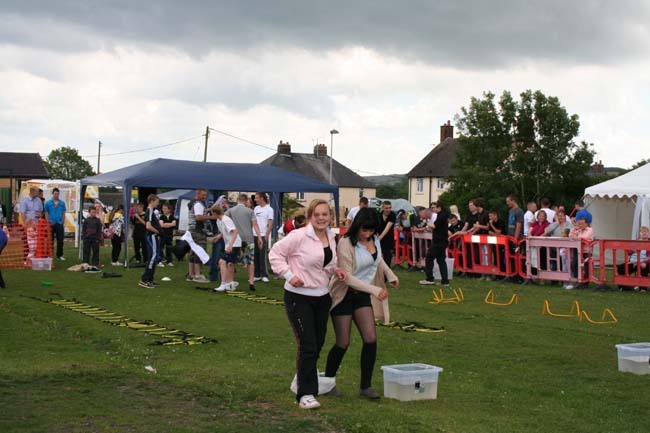 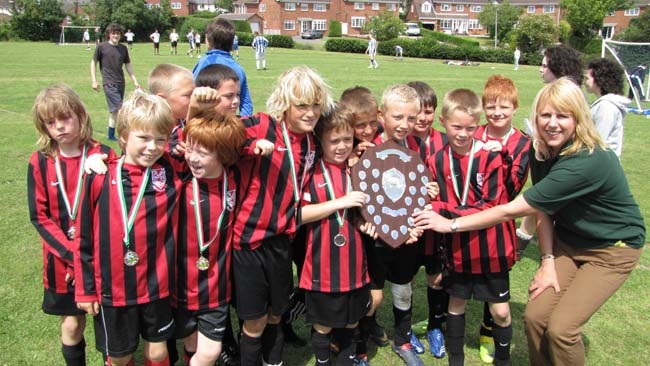 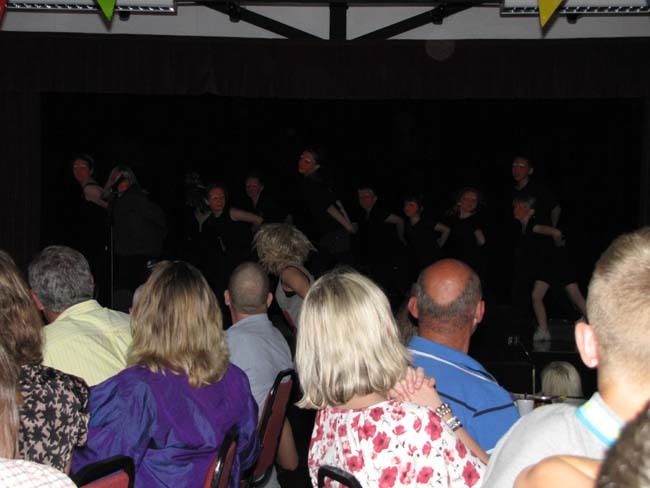 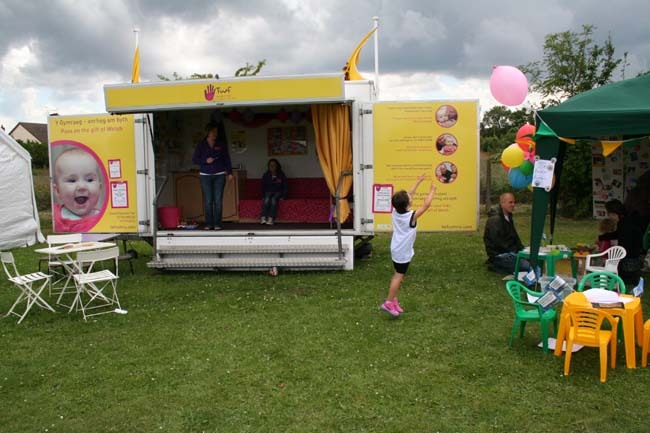 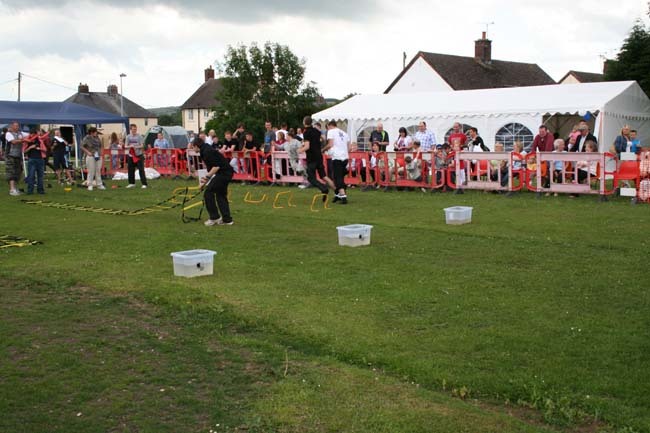 Here are some pictures to show the events at the football tournament , in the village hall, at the Lady Gaga tribute concert in the evening and on the field during the day.